I am told this is about a week or so old, but I haven't really seen any posts on it yet. 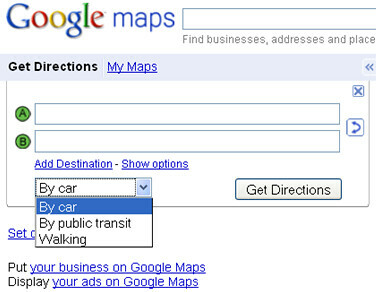 Google Maps has changed the way they let users pick the type of directions they want. 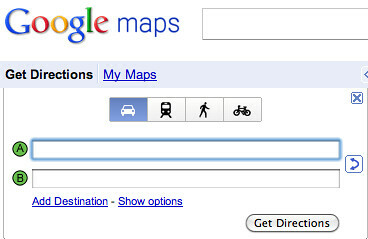 Instead of showing a drop down, defaulted to car directions, they now show you icons above the directions box. Yes definitely new. Last couple of weeks at most. They used to be presented as a dropdown under the text entry boxes. They definitely make the options stand out, which is a good thing.